First on the list of updates is that we just got back from Everything Food Conference on Monday! EFC is an amazing (and delicious) conference for food bloggers and brands. It’s held in Salt Lake City, Utah, and I was super impressed to find out that this was only its second year! This was actually my first ever food blogging conference like this. It was so wonderful to connect with other food bloggers, make new friends, and learn more about how to grow our food blogs! It was also so fun exploring SLC with Cody this week. We ate all the eats, went to the salt flats, and explored some ski villages (even though it’s definitely not ski season, but still so fun!). I’ll be posting about it soon, but in the meantime check out my personal Instagram for a few photos! Second update! Our trip back on Monday was by far the worst ever travel day I’ve ever experienced! Because of a few thunderstorms on our path, our first flight was delayed over two hours. Then because of more storms, our second flight was delayed another two hours. We were supposed to be home by 8pm and ended up home after 2:30am. That day we traveled 13+ hours! And THEN….ready for this? They lost our luggage. MESS. Anyway, rant over. 🙂 I just really had to tell you guys about that because it was an epic fail of a travel day! All that to say, we were very ready to get back home and into the swing of things. Thankfully we finally got our luggage back today, so all is back to norm! When we finally made it home, we returned to an empty kitchen and (while I’m being honest about things) a little bit of a disastrous home. And by a little bit, I actually mean total disaster! Per the usual, my refrigerator/freezer/pantry was stocked with the (I guess???) essentials in life: corn tortillas, shredded cheese, greek yogurt, almond milk, frozen veggies, and as always, some sort of frozen fish (LOL). I don’t know why those are my essentials, but you can almost always find those things in my kitchen! This is basically the same scenario as the Spicy Salmon Tacos w/ Avocado Lime Dressing and 30-Minute Blackened Salmon Tacos recipes, but in this case I came home to frozen Mahi-Mahi filets. WIN! As a result, these delicious Baked Mahi-Mahi Tacos went down on our first day home (because battling the airline for my luggage all day caused a very very late trip to the grocery store), and we weren’t too mad about it! You can basically make them any way you want! I used these corn tortillas, baked a couple of mahi-mahi filets topped with a little bit of this seasoning mix (optional), and then added simple toppings to keep things easy. The “sauce” is actually just greek yogurt and water, which is the BEST! 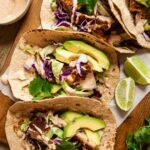 These Baked Mahi-Mahi Tacos are incredibly easy, y’all! 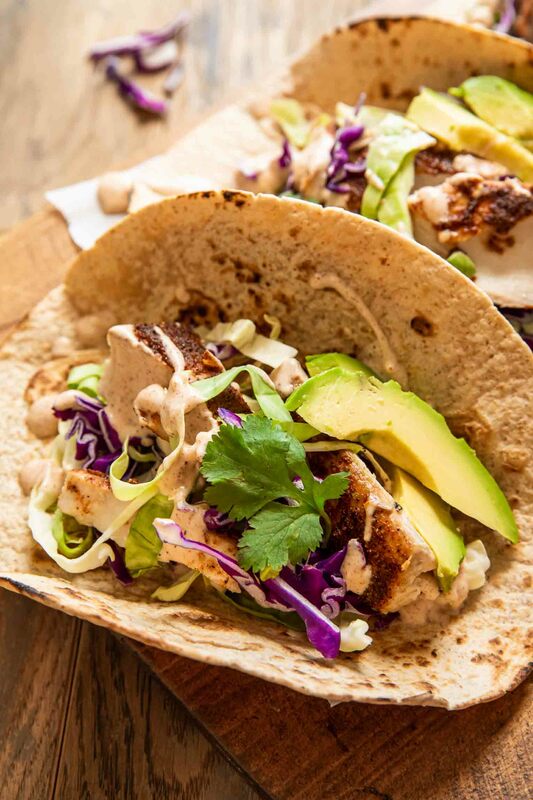 Also, these Baked Mahi-Mahi Tacos happen to be healthy, gluten free, and loaded with protein! They’re so easy to make and great for those late night all-day traveling disaster days, ya know? Bake the thawed Mahi-Mahi filets at 350 degrees for about 30 minutes (or until flaky). 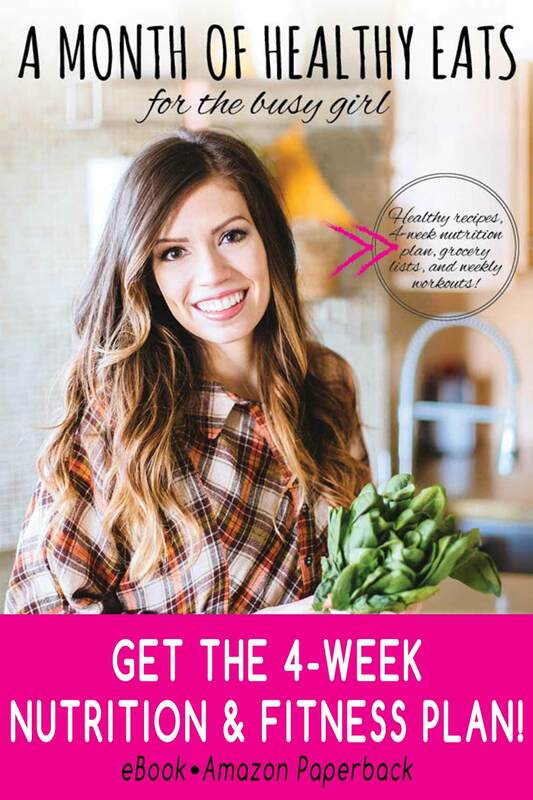 While the fish filets are baking, mix the greek yogurt and water in a bowl. Place shredded lettuce, baked fish filet (sliced), and avocado in each tortilla. Drizzle the yogurt and water mixture over each taco. Top each taco with paprika, crushed red pepper, and salt. Hi! 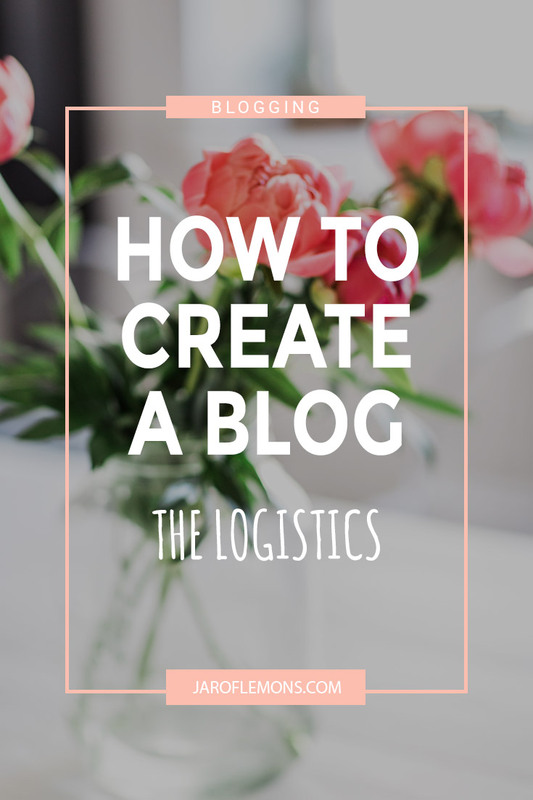 I found your blog today (thru FBP), and it’s SO great! I am looking to incorporate more seafood into our menus, so these will be great. I also wanted to say that I really admire that you share your relationship with Christ on your site and linked up to more information for that! That’s wonderful! Look at those colors, i m not able to take my eyes off those beautiful clicks!!! So beautifully presented and another great recipe for a tacos night!!!! Aw, thanks so much, Priya! Enjoy! I usually order fish “whatever” when we eat out — these tacos would certainly catch my eye and appetite. Now, why shouldn’t I make them at home — your recipe is pinned. How lucky that l have some corn tortilla, l can make this lovely recipe today. Dinner’s sorted! It looks yummy and so healthy. Oh, perfect! It’s like it was meant to be 😉 Enjoy the recipe! I love a good mahi mahi taco on corn tortillas. After browsing through some of your taco recipes, I can’t wait to make a few of them for dinner. 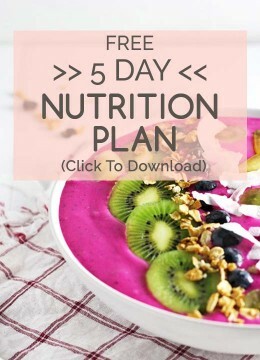 Adding this to the meal plan for next week, yum! That’s so good to hear, Jessica! Enjoy the recipe! My husband loves seafood. I think he’s tried mahi mahi and liked it. He does like tacos so I;m sure he’d try these. That’s awesome! Enjoy the recipe! Travel can get messy at times. Salt lake city is a great place and we went there last summer, but we drove from OKC. I love Tacos in any form. This one stuffed with mahi mahi looks and sounds so exciting. Definitely! How far of a drive is that? We thought about driving and with all of the delays, it turns out we probably could have. :/ Oh, well! We had a great time. Enjoy the recipe, friend!